Based on past costumes, this year's Halloween costume is going to be a smashing success for you. You always come up with the best ideas and pull out all the stops when assembling all the apparel and props necessary to facilitate the look. As a result, everyone always looks forward to seeing what costume you've assembled and the great lengths you've gone to make sure that all apparel is in place and you're looking great. Of course, makeup is always implemented in your costume creations. Makeup can take any costume from "ehh" to "ehh-maze-ing" and creates a more authentic look. Instead of using your fingers and getting unnecessarily messy or getting your art paintbrushes full of facepaint, the 6-pack of makeup sponges are here to simplify Halloween this year. It's a must-have item for anyone who's as passionate about Halloween as we are! 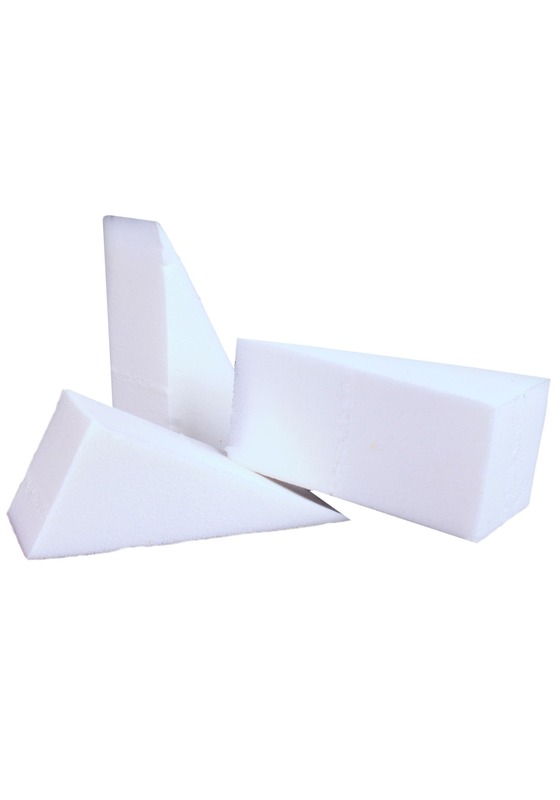 This product is a 6 pack of non-latex triangular foam sponges that are specially created with the help of makeup artists to facilitate any makeup look you can think of! They feature a smooth and spongey foam surface and they're ideal for blending all liquid and cream foundation. Your makeup will be on point by using this easy-to-use product. Take a picture to remember your mesmerizing creation— your face!